At Great Lakes Dental Care, the quality restorative dentistry procedures used by our Grand Rapids dentists help patients eliminate dental pain and discomfort. Restorative dentistry helps patients to reduce or eliminate issues of dental pain and discomfort. Using today’s advanced dental procedures, the knowledgeable dental professionals at Great Lakes Dental Care will work with you to restore one tooth, several teeth or provide you with a full set of custom-fitted dentures. The dentists at our Grand Rapids dental practice may suggest that you need a crown or a bridge to restore and enhance teeth that have been damaged, or to take the place of missing teeth. A dental crown is a tooth-shaped cap that is placed over a tooth, helping to restore its shape, size, strength, or improve its appearance. Dental bridges literally bridge the gap caused by one or more missing teeth, where one or more artificial teeth are cemented into place using the teeth on either side for support. Bridges and crowns are very durable and can last a lifetime with extra care and by practicing good oral hygiene. Read more about Crowns and Bridges here. Individuals who are missing one or more teeth looking for a permanent replacement solution may opt to use an implant crown. An implant crown is a composite reproduction of the lost tooth that is placed over a dental implant or post. The implant crown replicates the original tooth in shape, size, strength and appearance. When the crown adheres in place, it will fully encase the entire visible portion of the dental implant. 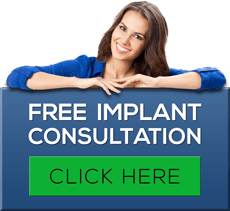 If you are considering a dental implant, Great Lakes Dental Care can help you decide whether or not you need an implant crown. If you have lost some or all of your teeth due to gum disease, decay or accidental impact, dentures can dramatically improve your smile. A denture is a removable replacement for missing teeth and surrounding tissues. Our Grand Rapids dentists may suggest full dentures or partial dentures, depending on how many natural teeth you have lost and the condition of your existing teeth. Root canal treatment (also know as endodontic therapy) is necessary when a cavity is neglected, allowing it to penetrate all the way to the pulp. Sometimes deep restorations or trauma to a tooth may cause the nerve to be damaged to the point it needs root canal therapy. Once this occurs the pulp becomes infected, and can even extend through the root tip and begin to eat away at the surrounding bone, which would be considered an abscess. By the time the pulp is infected it must be treated, and cannot heal on its own. It can even weaken the entire immune system. Usually a core build-up and crown is recommended for restoring a tooth that has had root canal therapy. Good oral hygiene should always be practiced, since the loss of a single tooth can have major impact upon your oral health and appearance. Although our professional dentists and dental hygienists dentists will use every measure to prevent tooth loss, it is still sometimes necessary to extract a tooth. A tooth may need to be extracted if you have severe decay, advanced periodontal disease, an infection or abscess, crooked, impacted or fractured teeth or roots or if you need an orthodontic correction. For additional information on our expansive restorative dental services please contact us today to schedule an appointment.